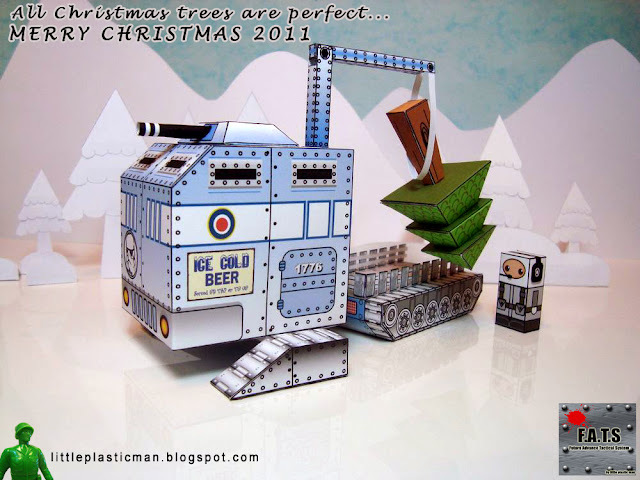 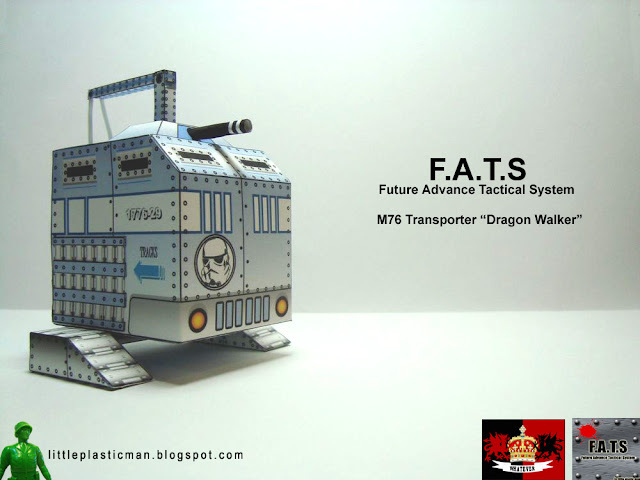 F.A.T.S: M76 Transporter "Dragon Walker"
Making its first appearance in a Christmas poster for F.A.T.S, I asked for 40 likes before I release the template. 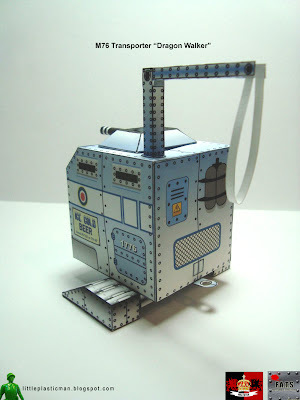 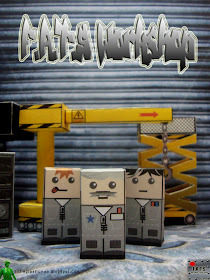 In the end I managed to get 47 likes which prompted me to start this F.A.T.S blog too! 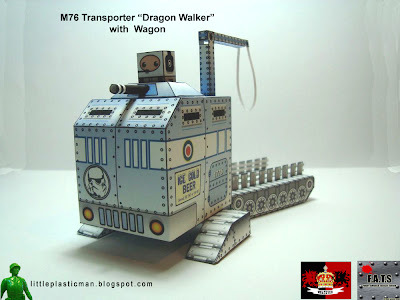 Read on for more information on the M76 Transporter "Dragon Walker". 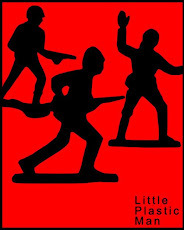 Oh yes I did not forget about the template. 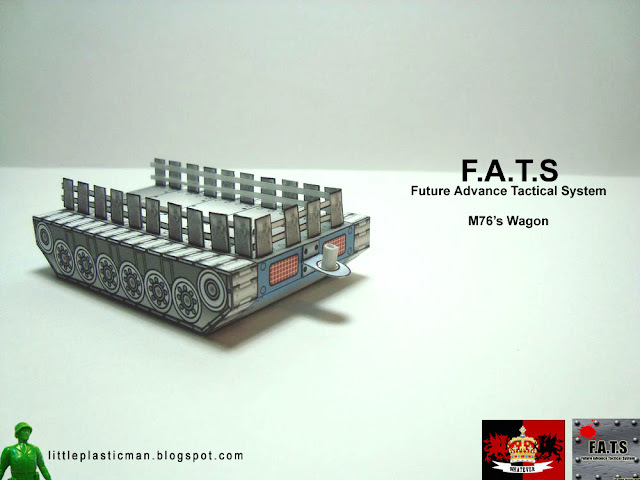 Check out the F.A.T.S workshop (at my sidebar) for all F.A.T.S downloads or just click here! 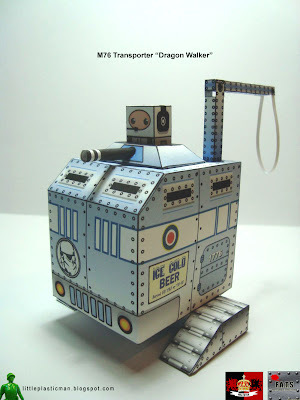 The M76 Transporter or most commonly known as "Dragon Walker" due to its strength and size, is designed primarily for the purpose of transporting heavy supplies and hauling mechs. 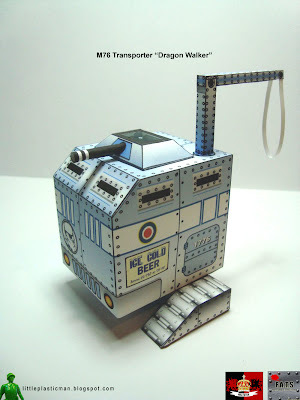 The M76 is also able to do light repair work on the battle field. 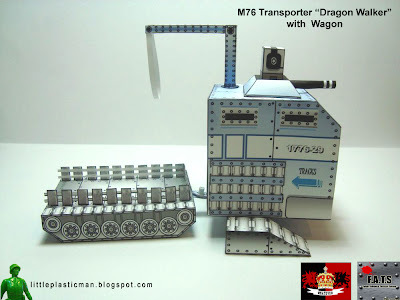 Amazingly, the M76 can be operated by a single crew member, hence making it one of the most efficient transporters around. 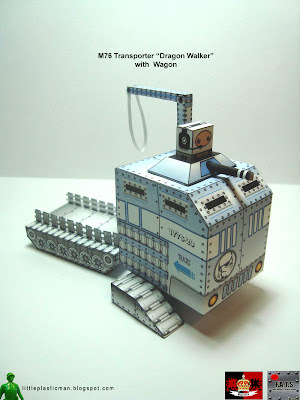 However, it is usually deployed with a 2 man crew, one to drive the M76 and the other to do maintenance work. 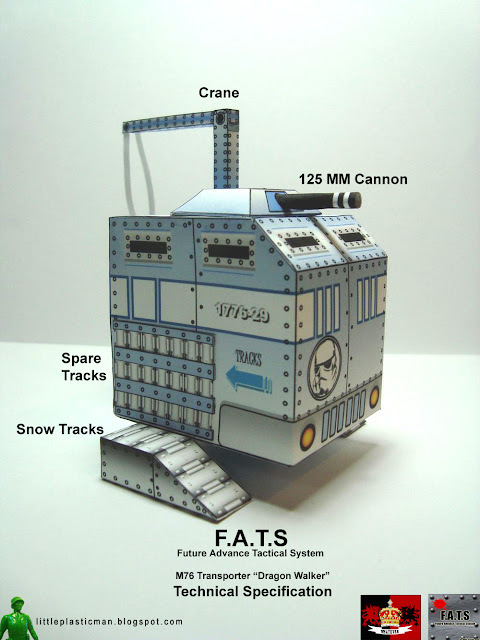 The M76 has only a 125mm cannon for protection. 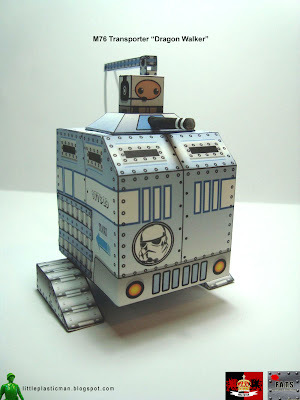 The lack in armament is compensated by a very thick armour made of reinforced titanium and steel. 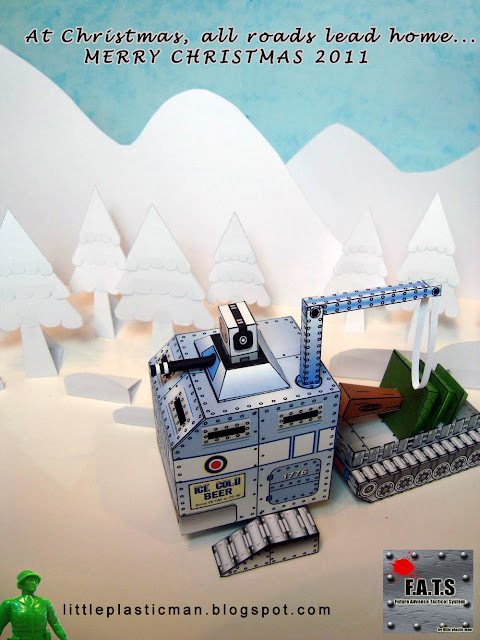 The M76 impressed during the initial trials and was voted in by 47 votes for mass production and deployment into the support units of The People's Choice Army. 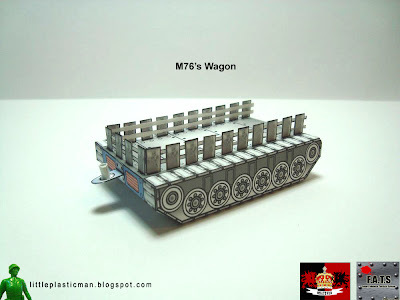 The M76 also comes with an extra attachment known as the wagon which is used to carry the load. 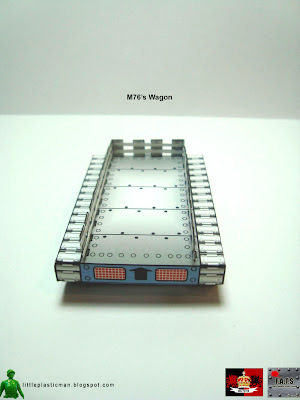 There is also an option to install an engine making the wagon self running. 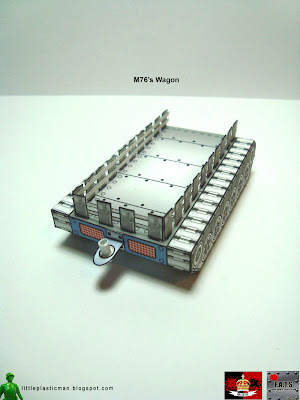 With the versatility of the wagon, it is sometimes used with other vehicles or even building a new vehicle around the wagon.